Yaa Ahkwaat! 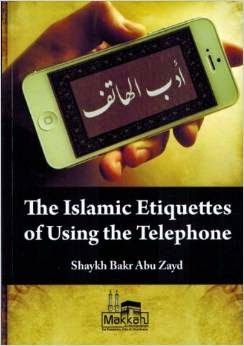 I just wanted to inform my sisters that our new read for the month is “The Islamic Etiquettes of Using the Telephone” by Shaikh Bakr Abu Zaid worksheet to follow insha’allah. Dawah-tu-Salafiyyah Sisters Book Club 1432/2011. Powered by Blogger.